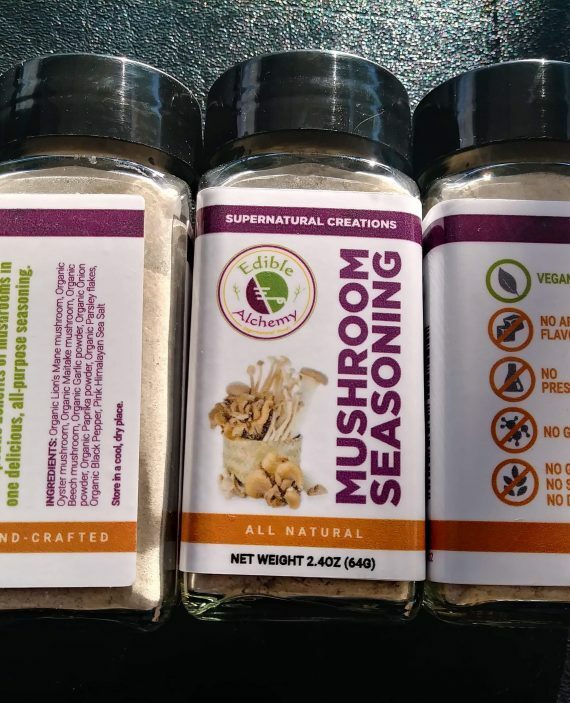 Triple extraction Mushrooms are fermented, to make the polysaccharides, Triterpenoids, and Alkaloids, more bio-available. 2. We do a hot water extraction, because polysaccharides are only water soluble. 3. 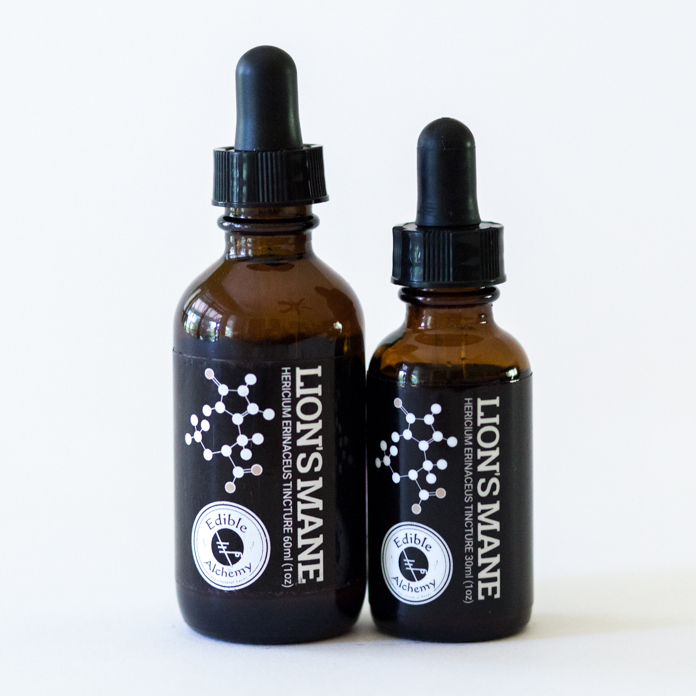 We do 90 days in alcohol, because triterpenoids are only alcohol soluble. 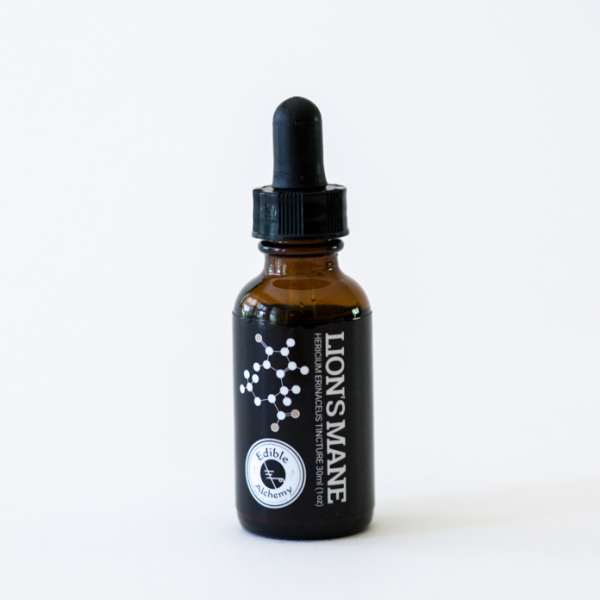 It takes us around 100 days to make a tincture! 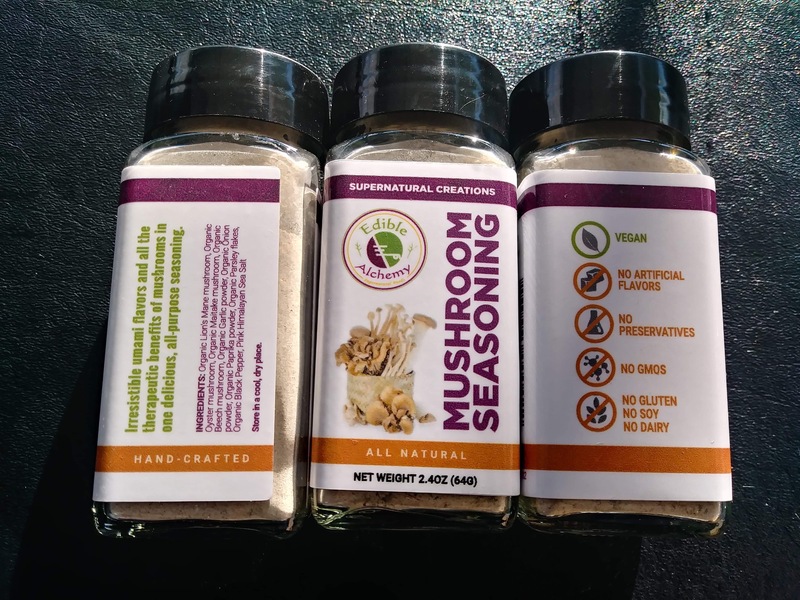 Popular serving size for mushroom tinctures, is 1 dropper, held under the tongue, for 60 seconds. 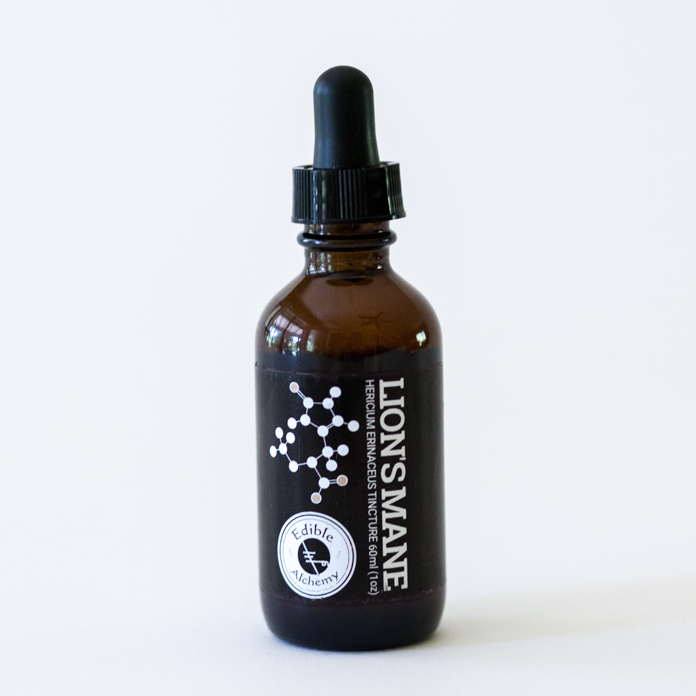 Ingredients: USP Grade Organic Cane Alcohol (no gluten), Filtered Water, Organic Lion’s Mane, Organic Myceliated Brown Rice (food for the mycelium).